Girl Kuripot Girl Kuripot: @KFCPhilippines, Win 1 of 3 Instax Cameras! This is a chance to win 1 of 3 Instax cameras! To join, follow, like and regram with the caption and hashtag. You have until September 5, 2014! 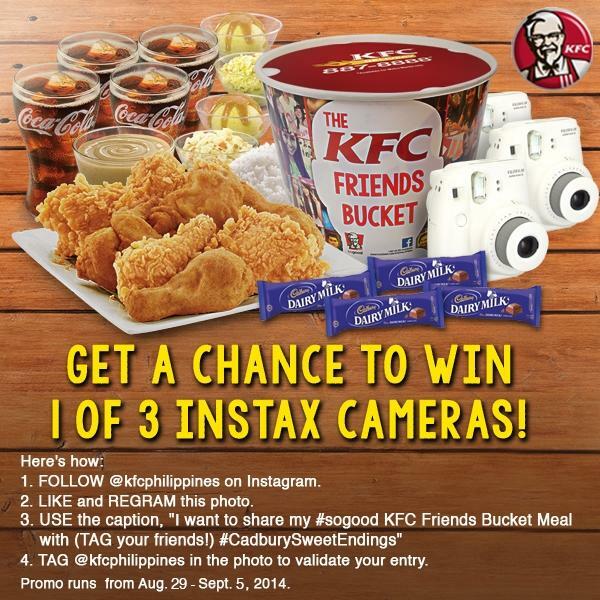 Click here for more info on the KFC Philippines Friends Bucket Meal Instax Giveaway.